Ann Coulter, who was fearful of Trump nominating Amy Coney Barrett who has no record, Raymond Kethledge who was weak on immigration, and Thomas Hardiman who was favored by liberals, praised Trump's pick. Wait - how did we get off on Russia??? 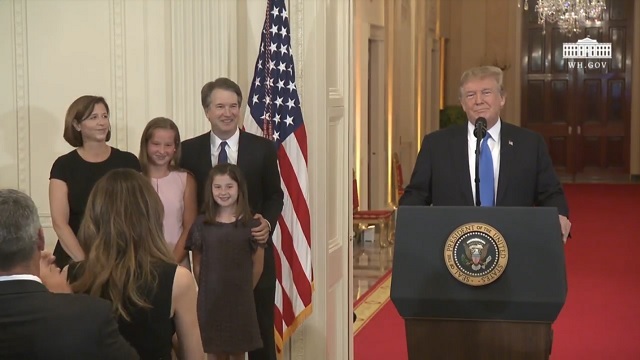 The president just nominated a new SUPREME COURT JUSTICE! Dems in a pickle! If conservative Dems vote against Kavanaugh, they risk losing their seats -- creating a MORE Republican senate that will confirm Kavanaugh or anyone else. Kavanaugh has a solid record on ruling in favor of American workers and against big business's demands for cheap illegal immigrant labor.